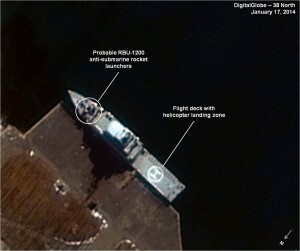 Recently, commercial satellite imagery has identified two new North Korean helicopter carrying frigates. These are the largest surface combatants constructed by the DPRK’s Korean People’s Navy (KPN) in 25 years and appear to be primarily designed to counter what Pyongyang sees as a growing threat from South Korea’s acquisition of submarines that began in the early 1990s. Moreover, these vessels may have an important secondary role: the protection of fisheries in the West and East Seas, which has obvious important security implications for the Republic of Korea, Japan and China. Their introduction into the North Korean fleet may also represent an evolutionary step in the development of naval strategy to include helicopter anti-submarine operations. Construction began in 2006-07 and both ships were launched during 2011-12. However, it is unclear whether they have been commissioned and are ready for service. Nevertheless, should the KPN push aggressively to commission and operate these new vessels, it will still likely take several years to fully integrate their new capabilities into fleet operations. 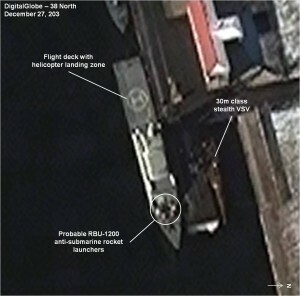 The construction of these vessels and other new classes of naval combatants over the past decade has been achieved during a period of prolonged and expanding international economic sanctions against North Korea as well as almost weekly media reports of its military decline, and national economic and industrial stagnation. North Korea’s deployment of new helicopter frigates may be an important wakeup call not only about the overall effectiveness of sanctions in constraining Pyongyang’s conventional military programs, but also the need to carefully and realistically reevaluate reports of its conventional military decline. Of particular note, the KPN attempted for the first time to incorporate a degree of stealth technology in the design and construction of the catamaran-hulled fast patrol craft and very slender vessels. A key component of this program was a new ASW helicopter frigate. The KPN’s interest in such vessels dates back to the late-1970s when it began design of the helicopter carrying Soho-class guided missile frigate (FFGH). The design of this vessel was unusual and may have reflected indecision on the part of the KPN as to the vessel’s mission. The frigate had a catamaran-type hull, a flight deck that could accommodate one Mi-4PL ASW helicopter, four RBU-1200 anti-submarine warfare rocket launchers, depth charges, four SS-N-2 Styx anti-ship cruise missiles, a 100 mm gun for surface warfare and various air-defense weapons. The hull was laid down in June 1980 at the No. 28 Shipyard in Najin (Rajin), launched in November 1981 and commissioned in May 1982. The vessel design was not successful, reportedly having problems with seaworthiness. As a result, only one was constructed and it passed the majority of its career in port, only occasionally venturing out to sea and never far out into the East Sea. Despite reports during the late 1980s that the North acquired new Soviet ASW helicopters, there is no evidence they were used on this vessel. During the 1990s, the vessel was moved to the Singyo-ri Patrol Base on the east coast and in the mid-2000s underwent refitting and its landing deck was refurbished. The vessel spent most of its remaining career at Singyo-ri until June-July 2007 when it was moved back to the No. 28 Shipyard in Najin and finally scrapped in mid-2009. Figure 2. Soho-class FFGH, No. 823, seen at its Singyo-ri Patrol Base on North Korea’s east coast on November 5, 2006. Figure 3. 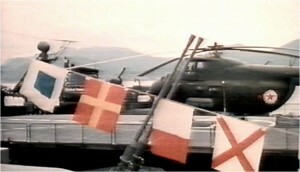 A Mi-4PL ASW helicopter seen on the deck of Soho-class FFGH No. 823 sometime during 2004-2007. The failure of the Soho-class FFGH combined with the South Korean Navy’s aggressive long-term expansion of its submarine forces begun in the early 1990s, presented the KPN with a serious challenge given its declining antisubmarine warfare capabilities. Pyongyang was unable to address that challenge immediately because of economic hardship, but in the late 1990s, the KPN initiated a modest but wide-ranging modernization and shipbuilding program upgrading existing patrol craft as well as constructing a small catamaran-hulled fast patrol craft. That program eventually included a new class of small ASW helicopter carrying frigate (FFH) which is believed to have begun during 2006-07 with the decision to scrap the Soho FFGH. Design of the vessel was likely the responsibility of the Academy of National Defense Science’s Namp’o Ship Design Institute in cooperation with the Maritime Research Institute (a.k.a., Ship Research Institute), while the Second Economic Committee’s 6th Machine Industry Bureau oversaw construction. Figure 4. The Namp’o FFH seen berthed at the Namp’o Shipyard on December 27, 2013. Figure 5. Another Namp’o FFH seen berthed at the No. 28 Shipyard in Najin on January 17, 2014. Recent commercial satellite imagery spotted the two new FFHs, believed to have been built at the Namp’o Shipyard and the No. 28 Shipyard in Najin. The vessel located at Namp’o was laid down in early 2010 and launched in about October 2011. The vessel located at Najin was laid down in early 2011 and launched by June 2012. It is unknown if either vessel has been commissioned. 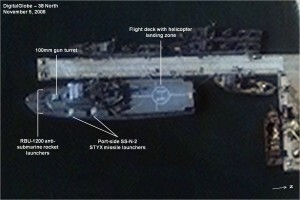 Imagery indicates the two vessels are identical, measuring approximately 76 m x 11 m with an approximately 29 m x 11 m flight deck and armed with a suite of ASW weapons including rocket launchers and a helicopter as well as what may be a close-in weapons systems to defend against anti-ship missiles and small anti-aircraft missile mounts. Given the KPN’s tendency to mount anti-ship missiles on its larger combatants, these vessels could be armed with a variant of the Chinese C-802 (e.g., Iranian Ghader) in the future. The configuration of the superstructure forward of the flight deck is suggestive of a small helicopter hanger but this remains to be confirmed. While these vessels appear to have been designed for anti-submarine warfare and general patrol missions, they may also be used to protect fisheries in view of increasing pressure from South Korean, Chinese, Japanese and Russian fishing fleets. While it is too soon to reach an assessment of the capabilities of these two vessels, it is likely that their greatest potential weaknesses are in radar, sonar and electronic warfare capabilities and antiaircraft/antimissile defense since the North’s defense industry is known to have serious shortcomings in both areas. This suggests that Pyongyang may reach out to external partners such as China and Iran for technology or equipment to address these shortcomings. Regardless, should the KPN push aggressively to commission and operate these new vessels it will still likely take several years to fully integrate their new capabilities into fleet operations. These two new vessels are the largest surface combatants constructed by North Korea in 25 years and represent a new capability for KPN. Their introduction suggests that Pyongyang sees the growing South Korean submarine fleet as a credible threat and may represent an evolutionary step in the development of naval strategy to include helicopter anti-submarine operations. 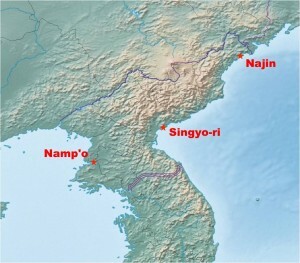 Additionally, the construction of these and other new classes of naval combatants during the past 15 years has been achieved during a period of prolonged and expanding international economic sanctions against North Korea as well as almost weekly media reports of its military decline, and national economic and industrial stagnation. North Korea’s deployment of new helicopter frigates may be an important wakeup call about the overall effectiveness of sanctions and the need to carefully and realistically reevaluate reports of its conventional military decline. Joseph S. Bermudez Jr. is Chief Analytical Officer and Co-founder of AllSource Analysis, Inc.
 Joseph S. Bermudez Jr., “Korean People’s Navy’s 30mm CIWS,” KPA Journal, December 2012, Vol. 2, Number 12, pp. 1-2, http://www.kpajournal.com/vol-2-no-8-august-2012/ (accessed April 8, 2014); and Joseph S. Bermudez Jr., “Korean People’s Navy’s 14.5mm 6-Barrel CIWS,” KPA Journal, August 2012, Vol. 2, Number 8, p. 7, http://www.kpajournal.com/vol-2-no-8-august-2012/ (accessed April 8, 2014). G. Jacobs, “North Korea’s Growing Amphibious Warfare Forces,” Jane’s Soviet Intelligence Review, April 1990, pp. 167-170. Between 1993 and 2015 the South Korean Navy commissioned, or will commission, a total of nine Chang Bogo (Type-209) and nine KSS-2 (Type-214) class diesel attack submarines. Commodore Stephen Saunders RN, IHS Jane’s Fighting Ships 2013-2014, London: Jane’s Information Group, 2013, pp. 462-464. While these new vessels are identified as helicopter carrying frigates (FFH), in this paper, many navies would identify vessels such as these as “helicopter carrying corvettes (FSH) or helicopter carrying coast guard cutters (PBOH). It is interesting to note that during a November 2008 visit to North Korea by a military delegation from Myanmar, led by General Thura Shwe Mann, North Korea offered for sale a “Coast Guard [vessel] with 2500 ton” built by Namp’o Ship Design Institute.” While this is heavier than the new FFH, it does show that the KPN was actively pursuing large patrol-type vessel designs at that time. “Burma, North Korea Said To Expand Military Ties,” Radio Free Asia, July 2, 2009, http://www.rfa.org/english/news/myanmar/nkorea-07012009231914.html (accessed July 2, 2009). The possibility exists, however remote, that these vessels were constructed for foreign sale. Should these vessels be armed with anti-ship missiles, they would more correctly be identified as helicopter carrying, missile armed frigates (FFGH), as was the Soho-class vessel. These estimates are based upon examination of commercial satellite imagery and the known characteristics of vessels of similar size and capabilities. They should be regarded with caution until more definitive information becomes available.